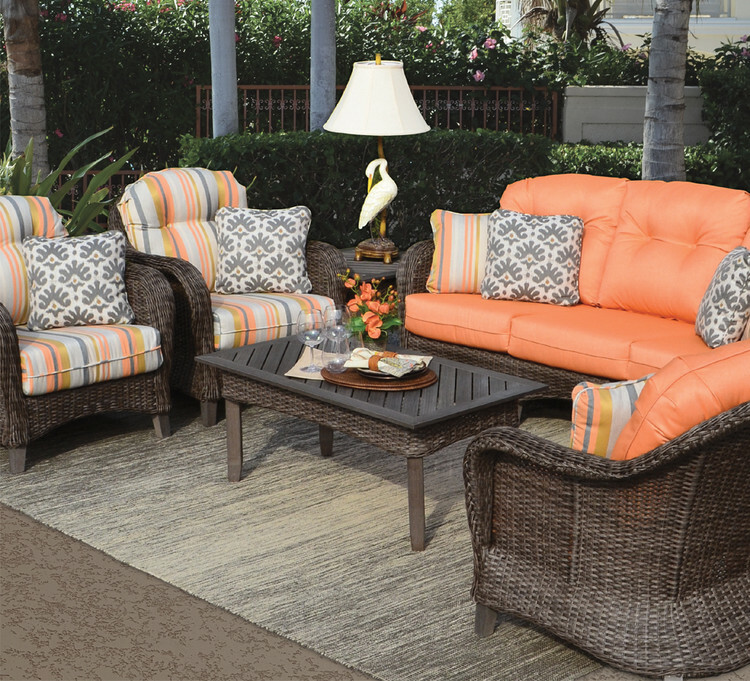 The Edenton Collection from Watermark Living™ is full of choices for any size outdoor living space. It features seating and dining options in two beautiful finishes. This series is often mistaken for natural wicker because the construction, rich detail and finishes are handcrafted with great care and attention. The frames and synthetic woven wicker is all-weather ready and accented with Polisoul™ timber legs that can withstand the elements and look great for years.